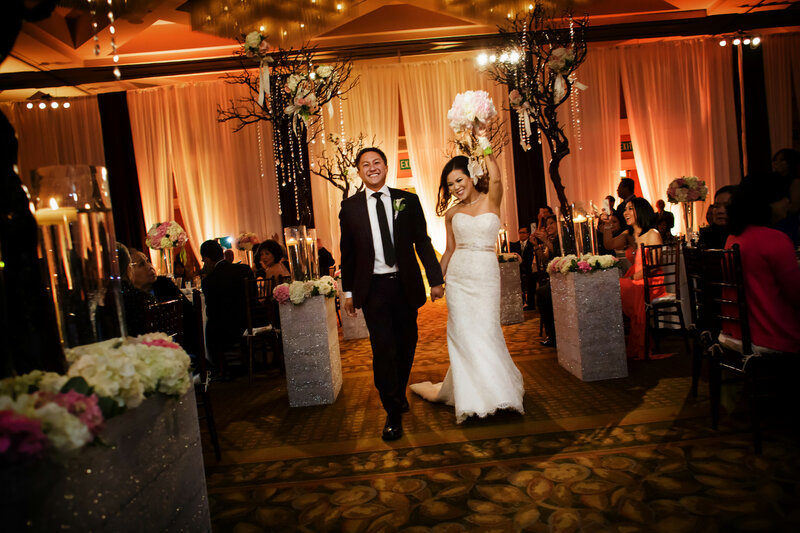 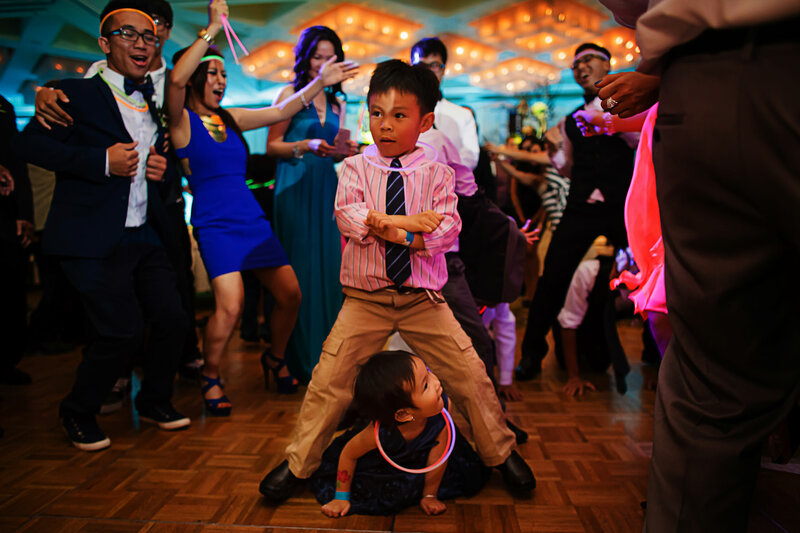 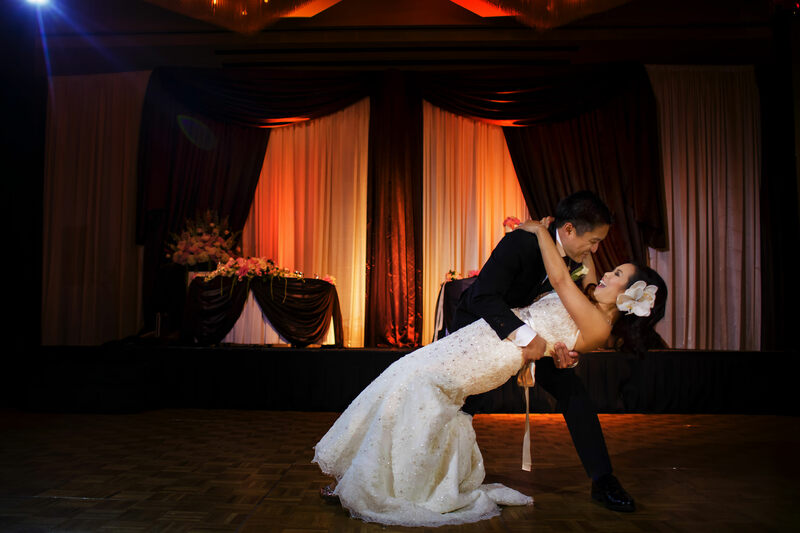 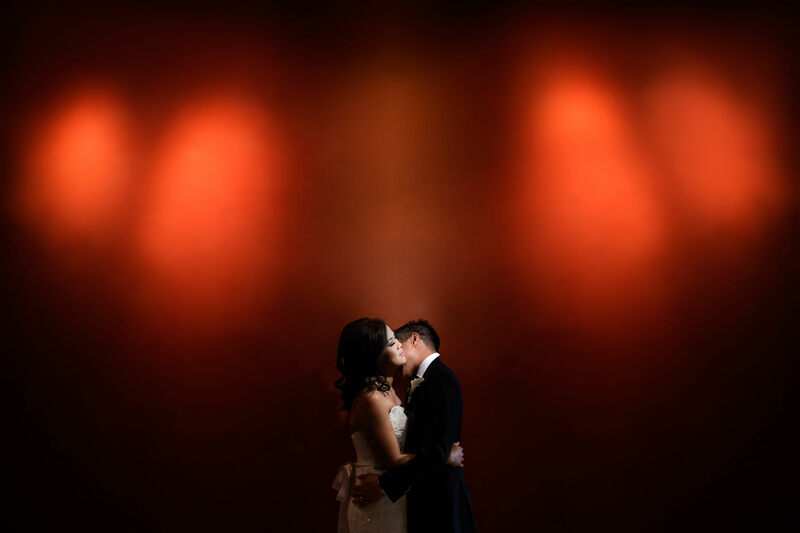 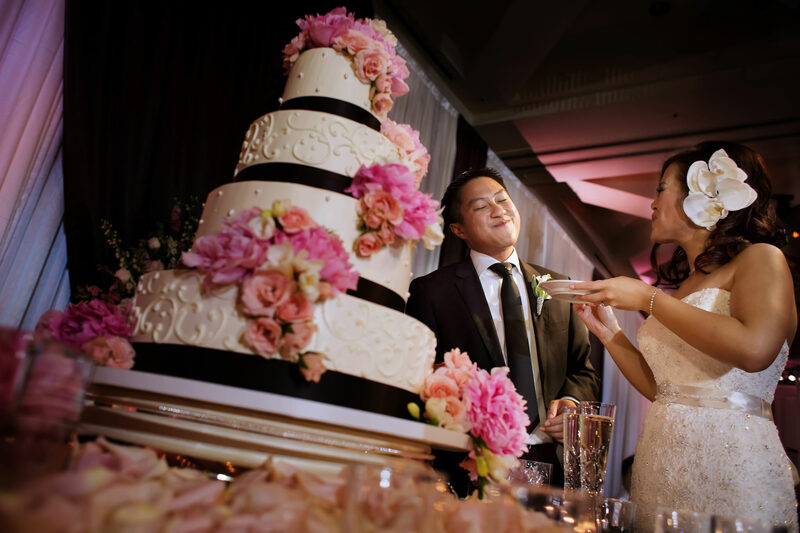 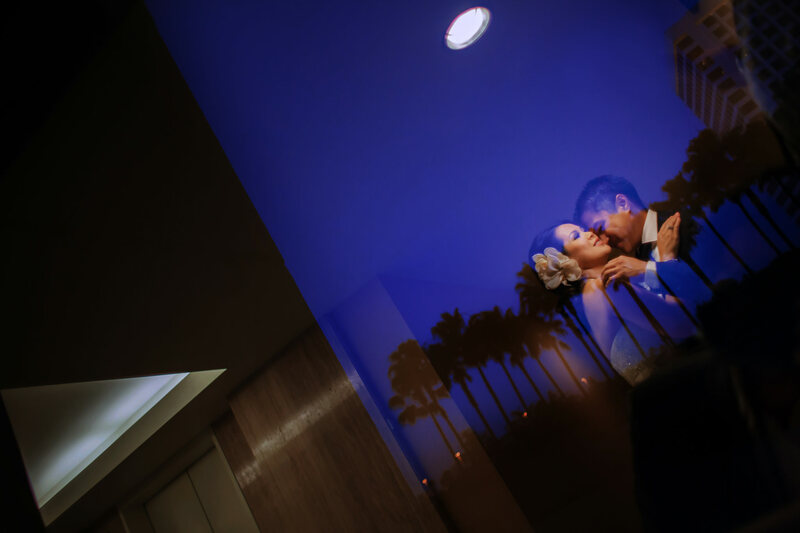 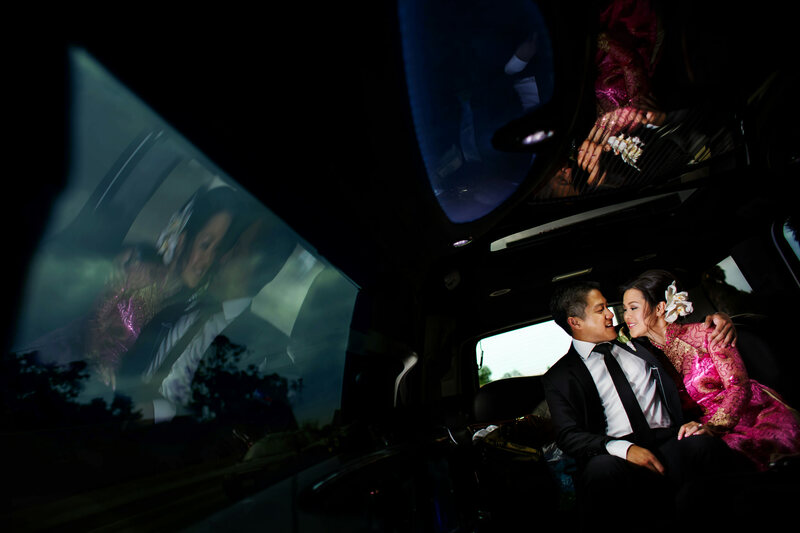 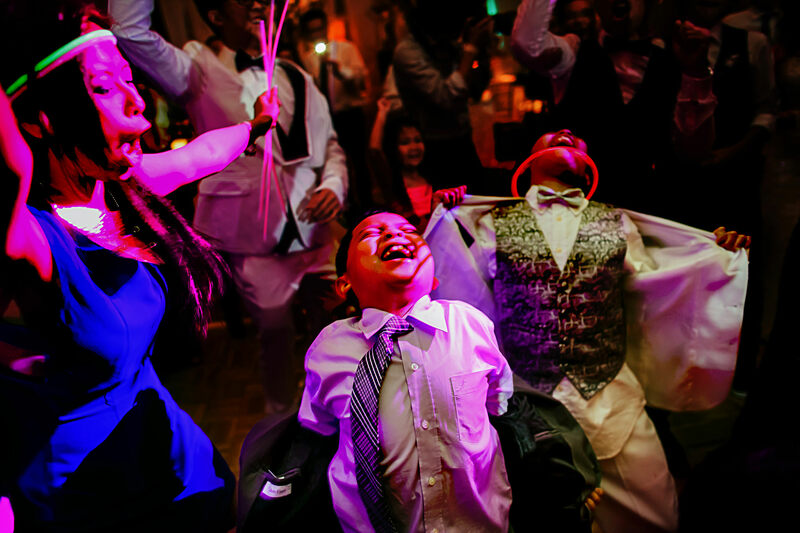 Pauline and Bao’s Orange County wedding blended their Vietnamese culture with western wedding traditions, which resulted in a long, eventful day of celebration. 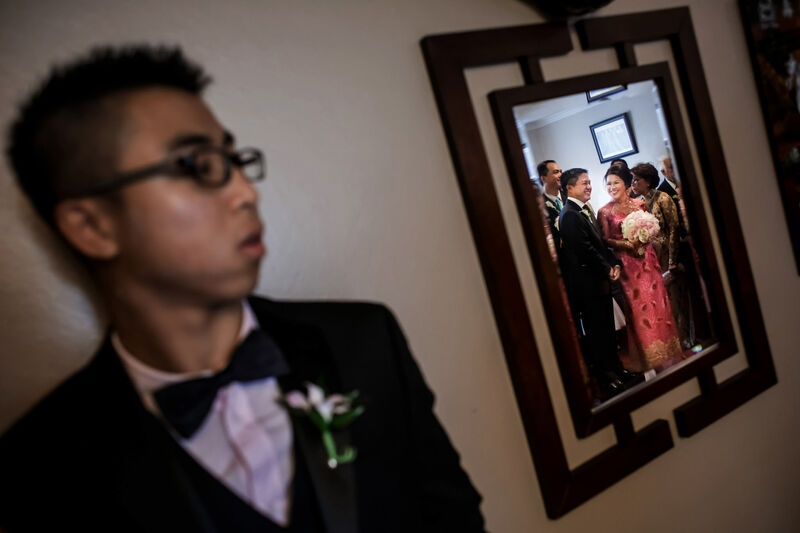 Mauricio had an early start at 7 a.m. at Pauline’s house, where the girls were getting ready for the early-morning Vietnamese tea ceremonies. 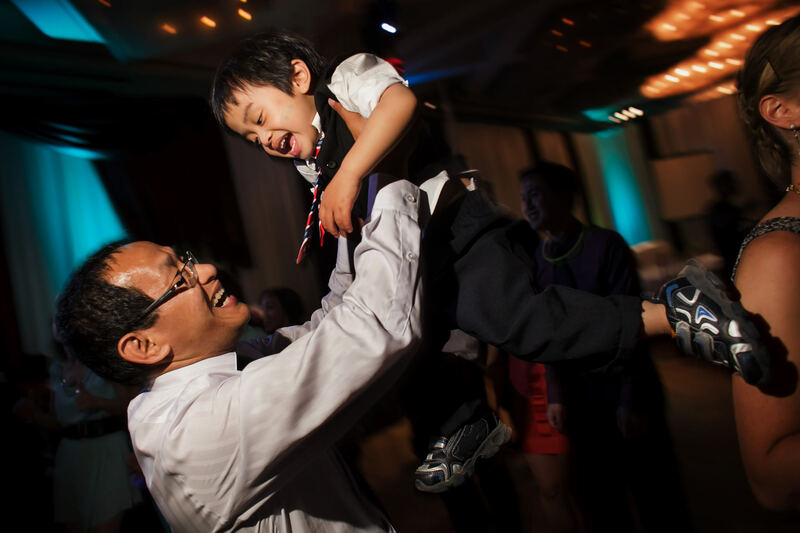 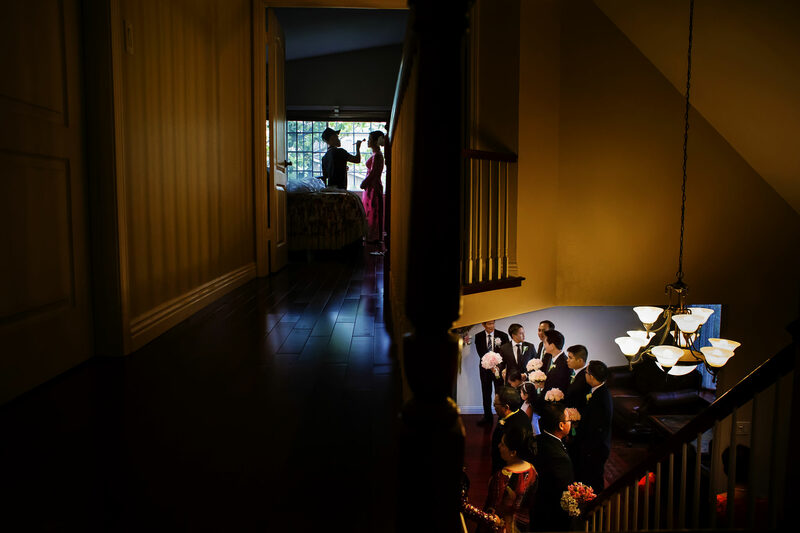 After the 9 a.m. ceremony at Pauline’s house, there was a second at Bao’s house. 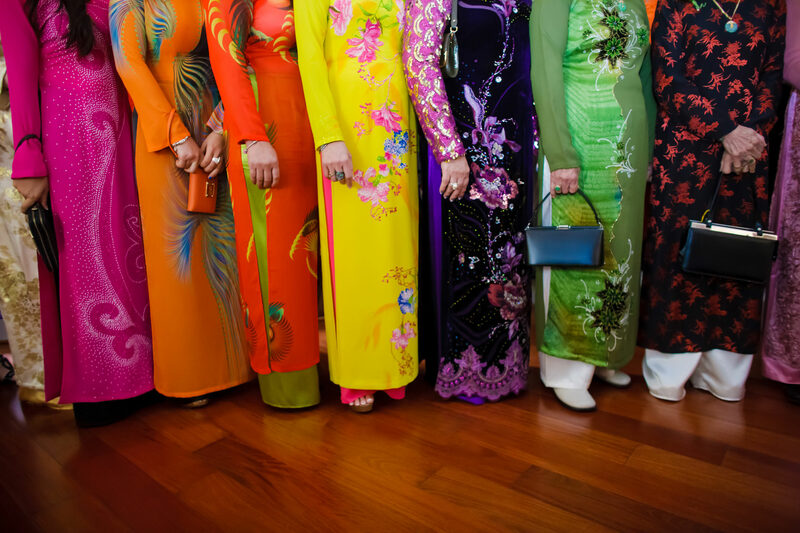 It’s always wonderful seeing these old traditions practiced, with the women in their colorful satin gowns, and the bride and groom paying their respects to their elders. 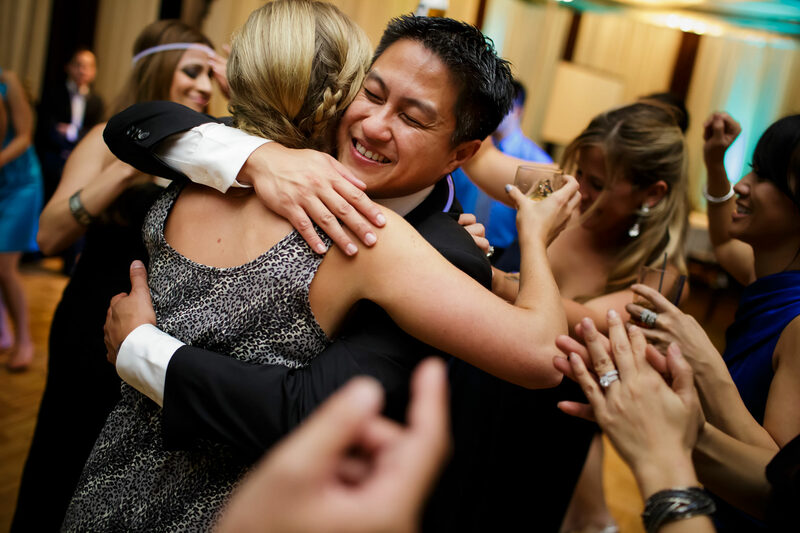 It is always an emotional time for everyone involved. 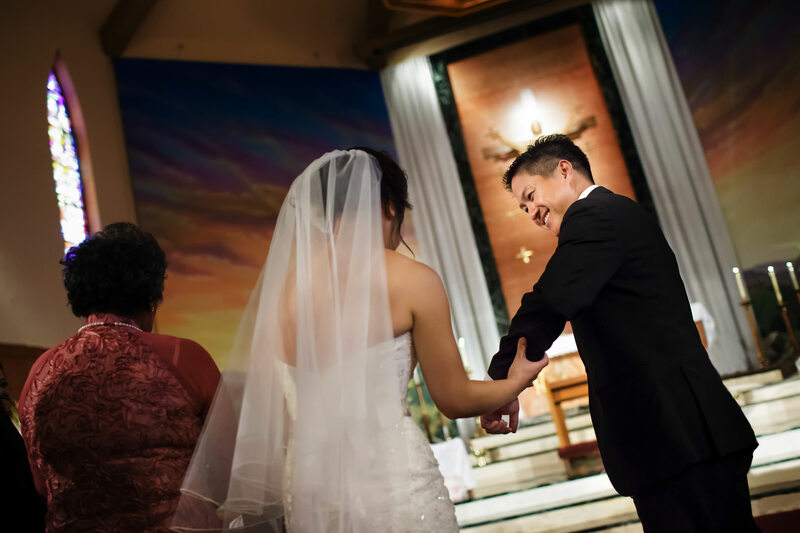 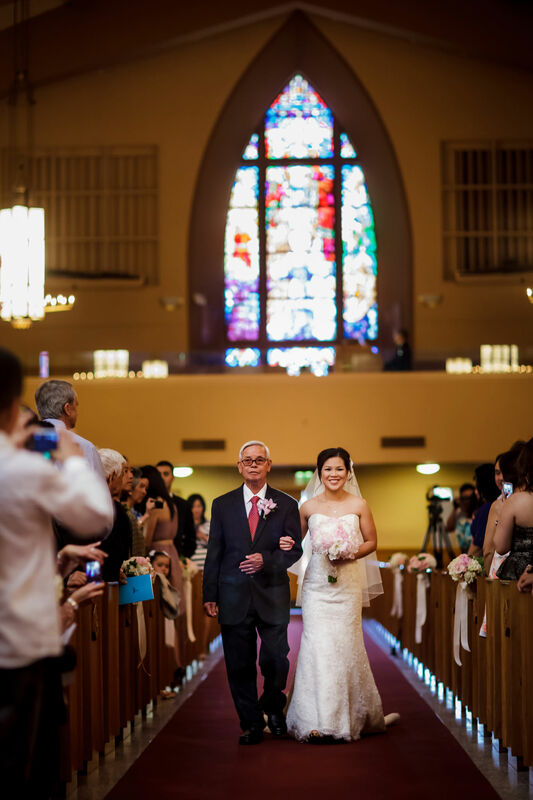 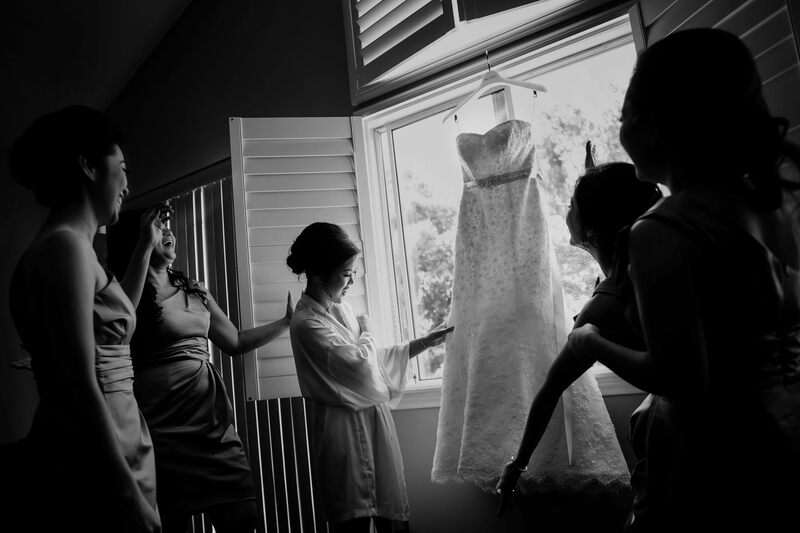 After the tea ceremonies, everyone headed to the American Martyrs Church in Manhattan Beach, where Pauline changed into a white wedding gown. 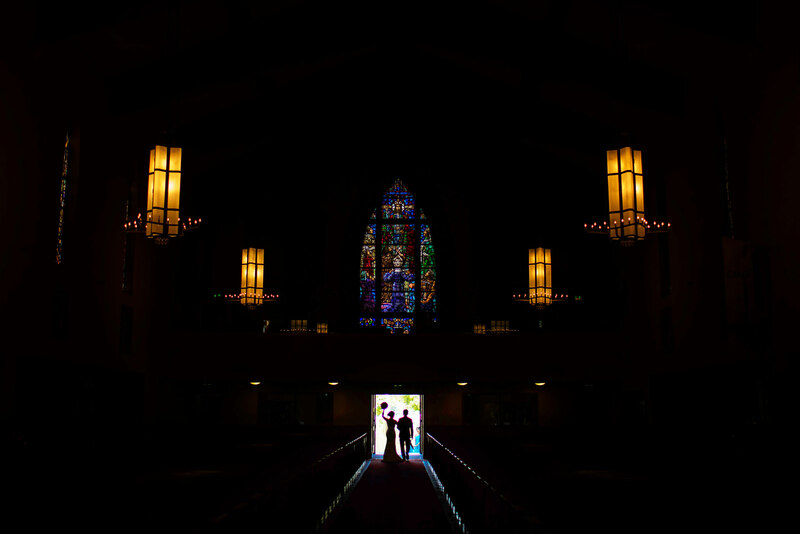 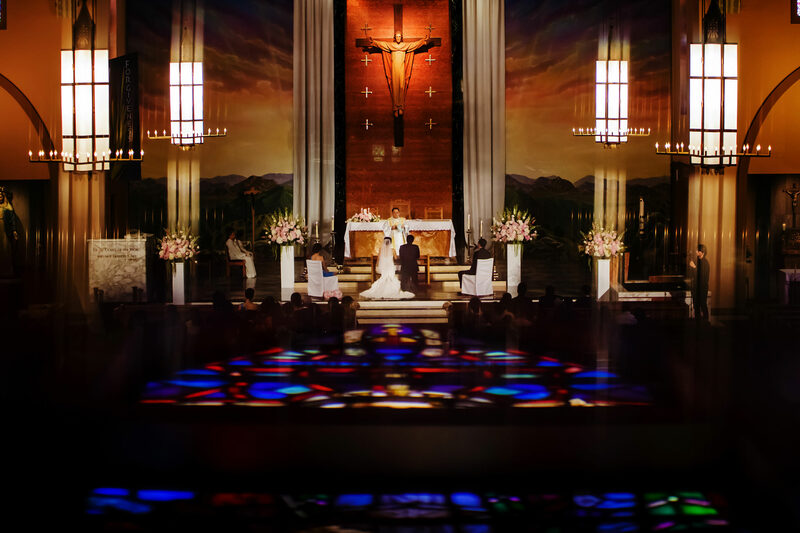 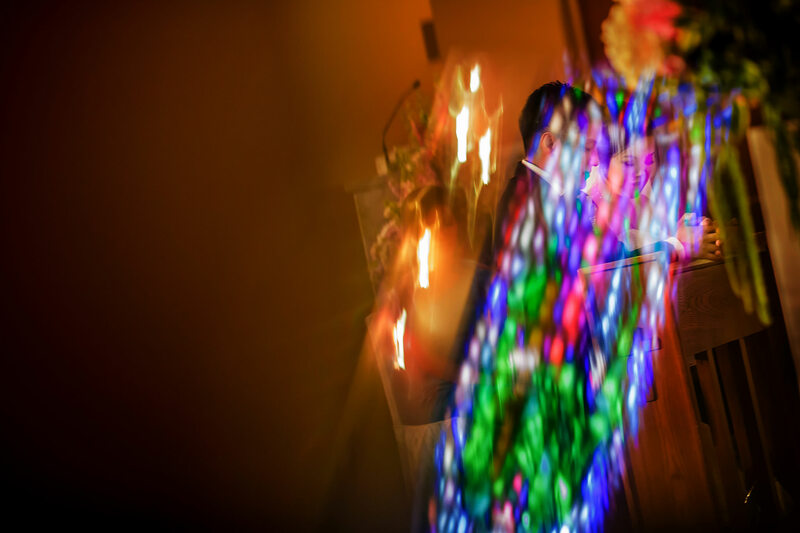 This beautiful church inspired lots of colorful photos with the light streaming through the stained-glass windows. 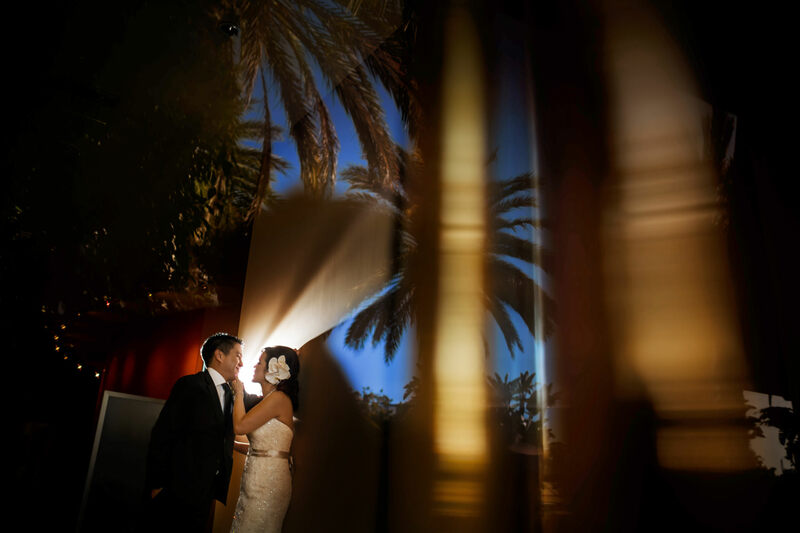 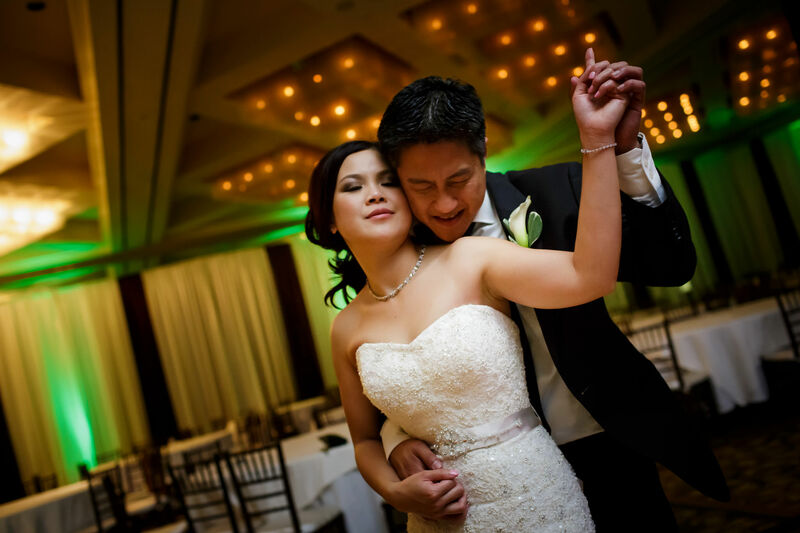 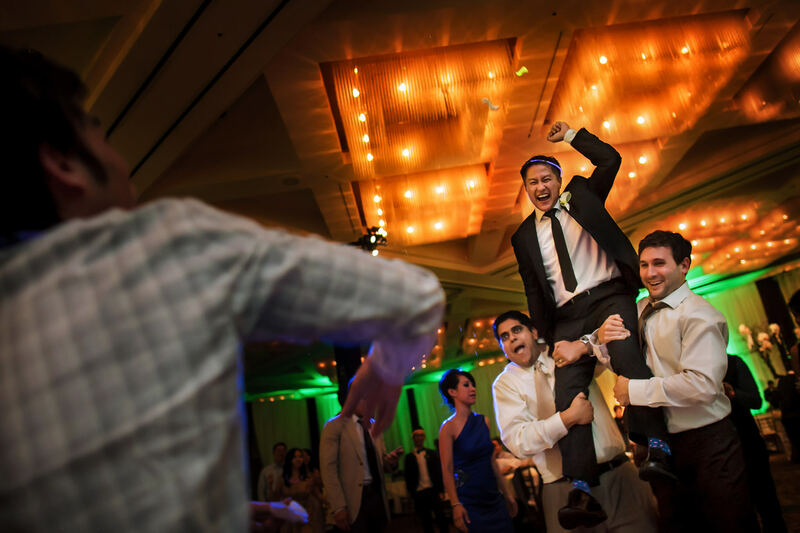 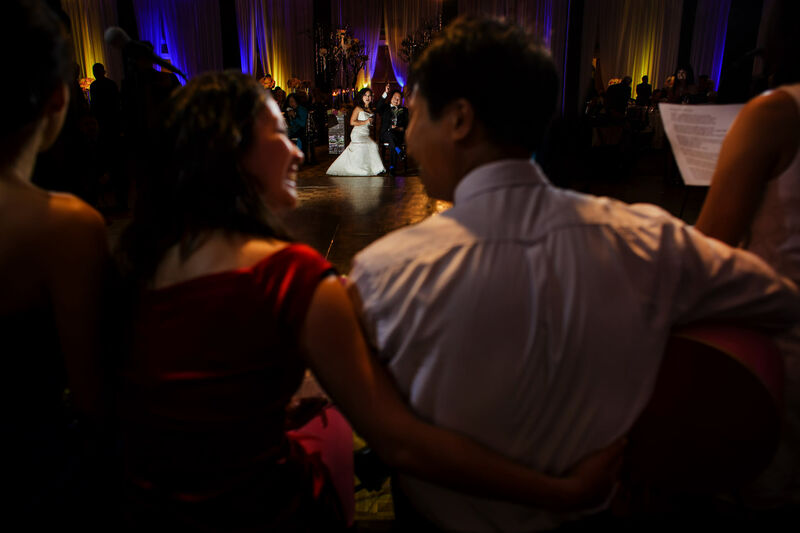 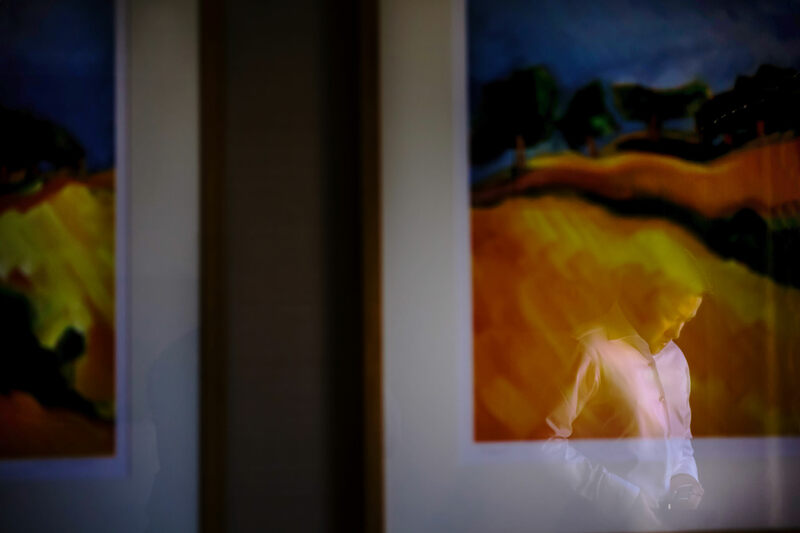 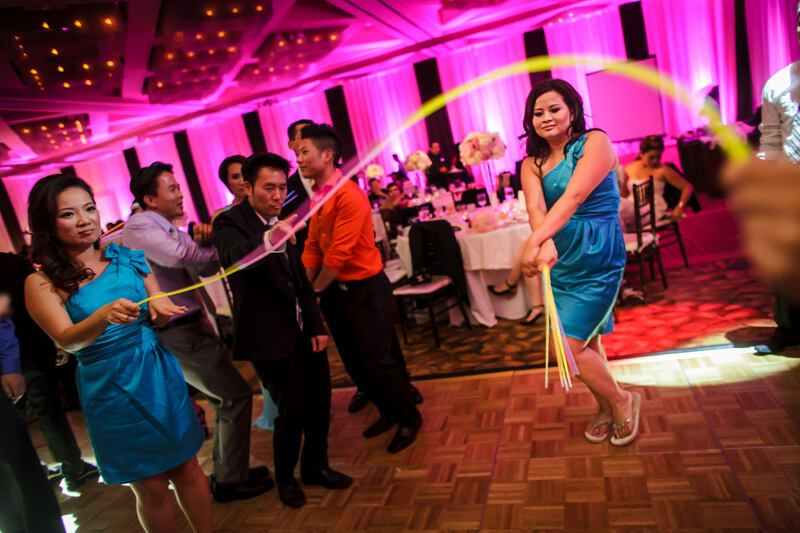 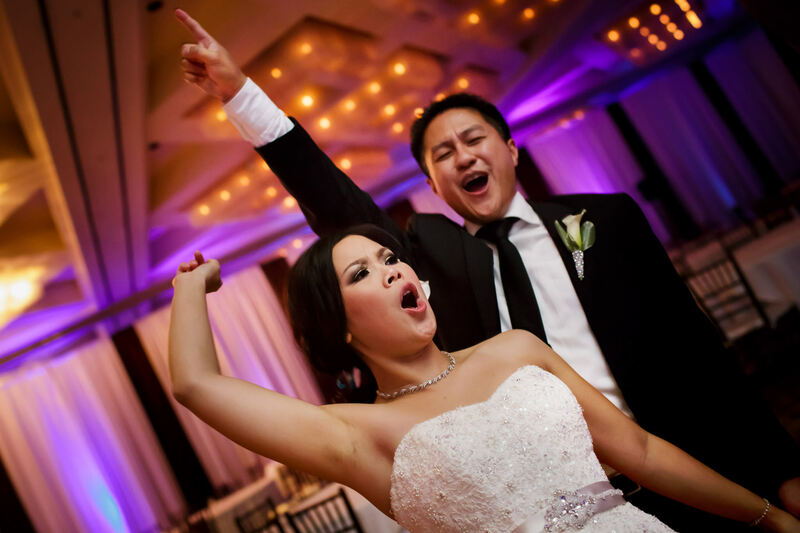 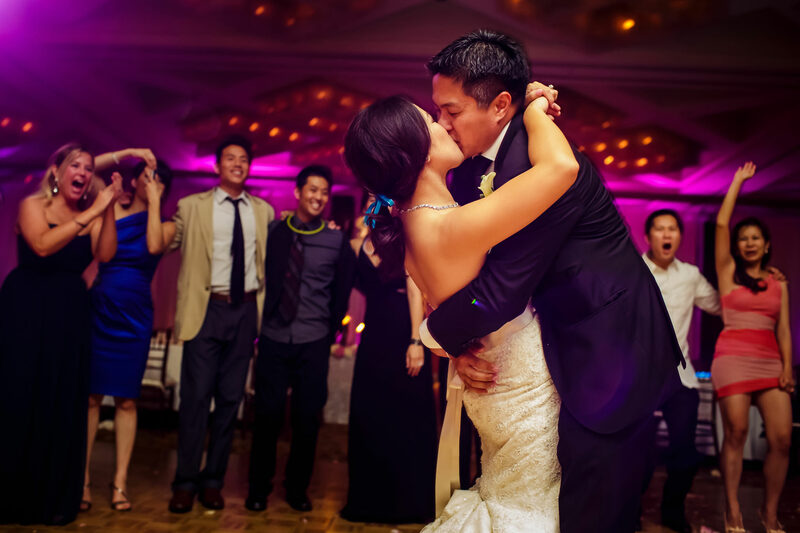 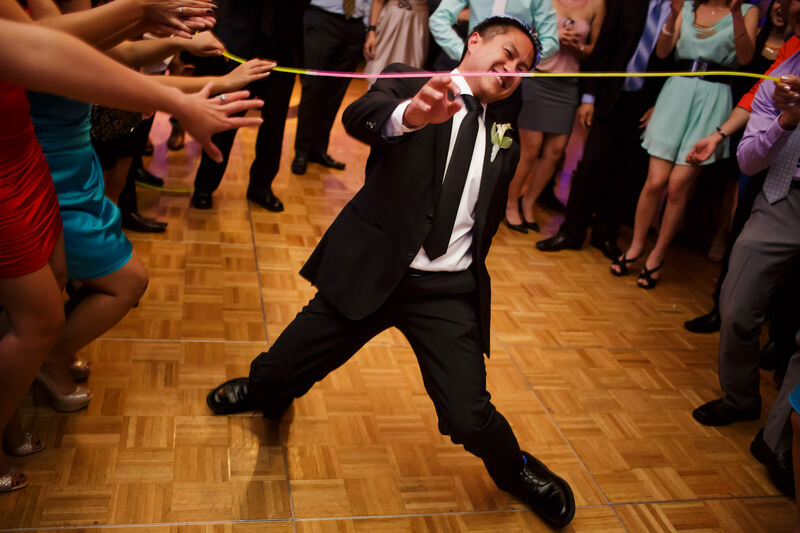 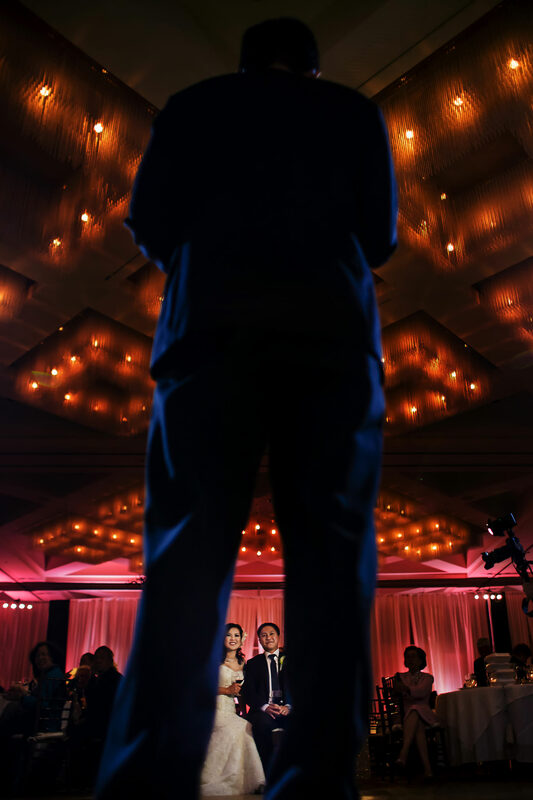 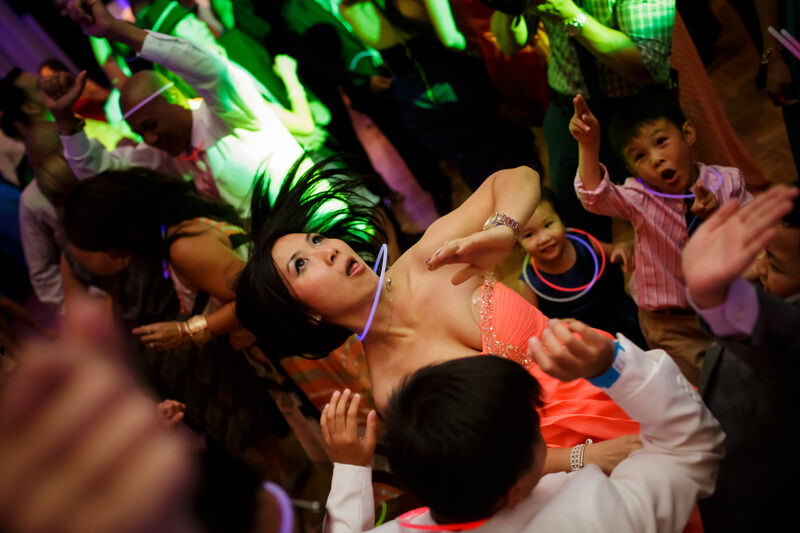 For the reception at the Hyatt Regency Irvine, Pauline let her hair down, literally, and so did everyone else. 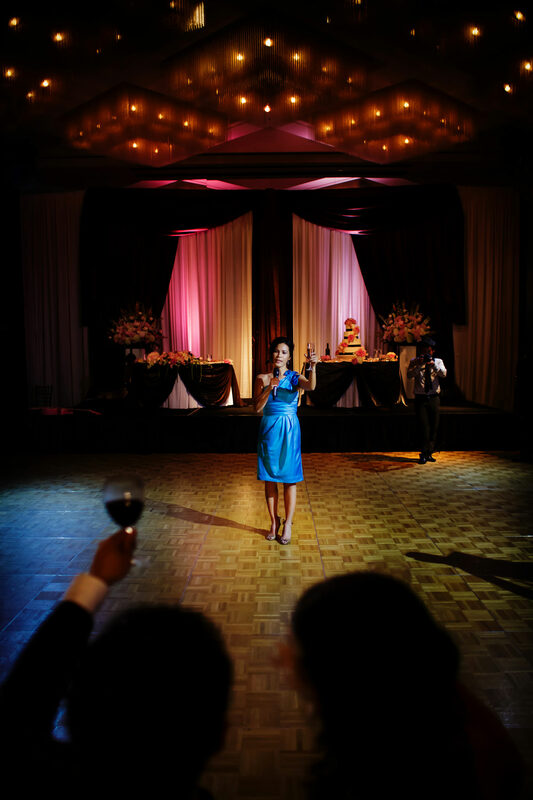 A major party ensued that lasted until midnight. 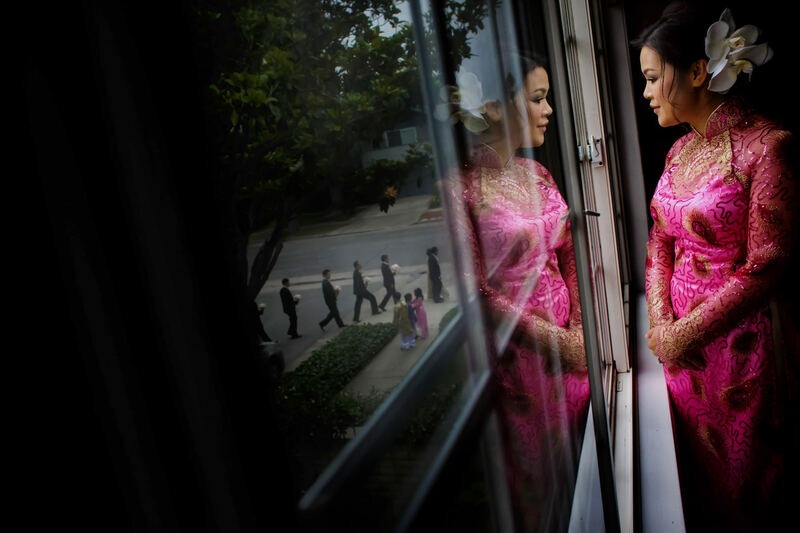 I’m always impressed when Vietnamese brides and grooms are able to go such a long day, having to rise at dawn to start preparations, and going more than 17 more hours with several ceremonies and parties. 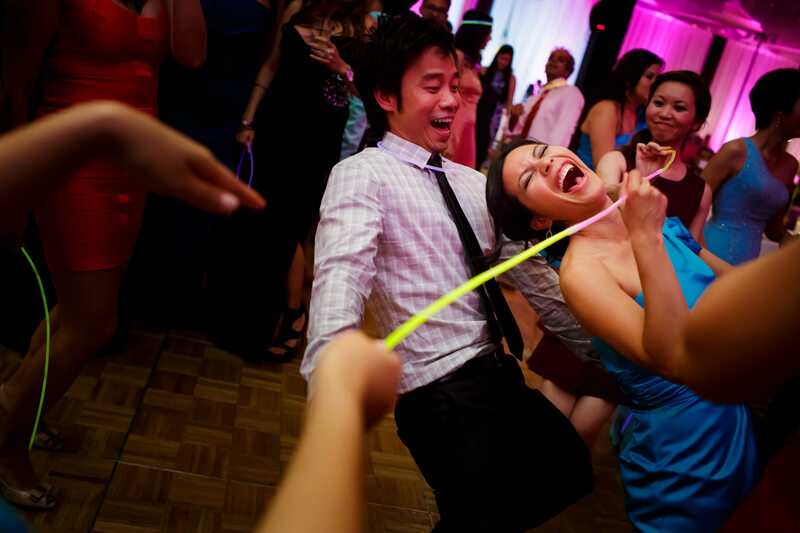 But then again, when you have a day as fun as this one, why would you ever want it to end?